Exclusive Interview: "We supplied a James Bond movie set in London at Pinewood Studios!" Ross Nicholl and Richard Snape launched The Wooden Floor Store almost 20 years ago, straight after leaving university. 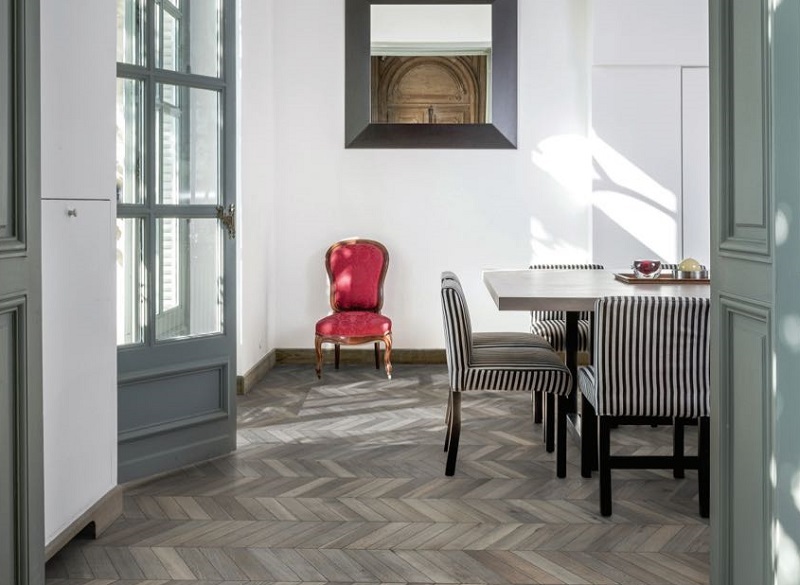 They have established the well-recognized brand across the UK, supplying high-quality flooring solutions to clients including residential consumers, retail units, restaurants, schools and even movie sets! Learn more about their journey and opportunities available across the UK with The Wooden Floor Store! 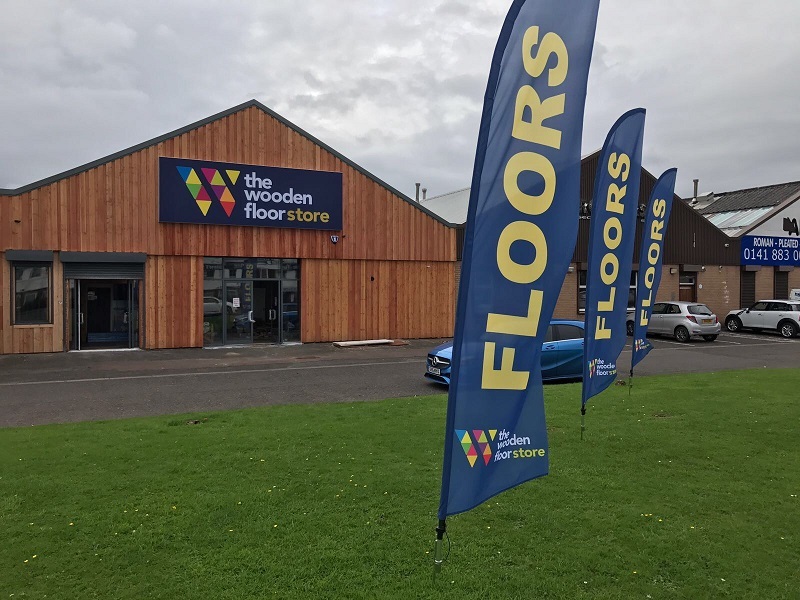 Established over 20 years ago in Northern Ireland, The Wooden Floor Store is a retailer of cutting edge wooden flooring. Our stores have a strong corporate identity and designed to be inviting to customers and promote our extensive product range. We control each stage of the process from the raw materials and quality control, through to production, design and innovation, literally from the “from the forest to the floor”. This allows us to offer our floor coverings at some of the best rates in the market. Our market however is not all retail, we also have experience in supplying flooring to an array of target groups such as developers, architects, Interior designers, shop fitters, schools and universities, and restaurant groups, to name a few. There is nothing to stop anyone – residential and commercial - from using our flooring…while there continues to be a demand for flooring, we will continue to have a market! 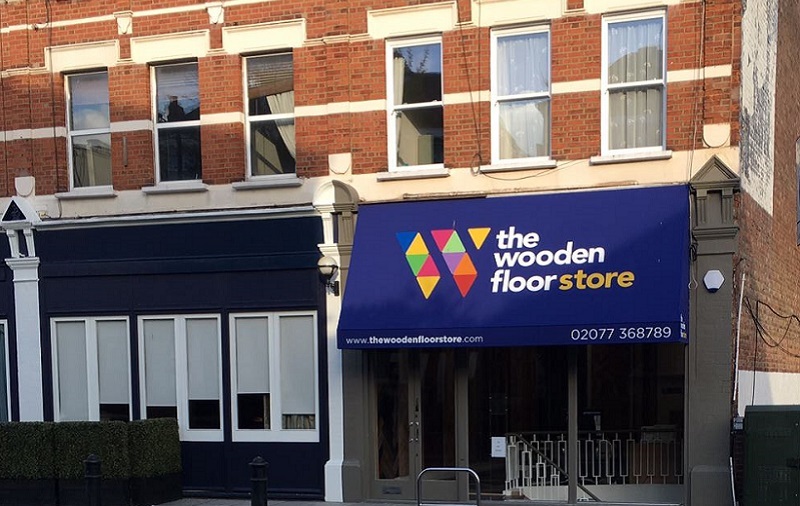 We currently have stores in Northern Ireland and Scotland, and having opened our first franchise in London, we are keen to expand The Wooden Floor Store brand in England and Wales. We have used the last 20 years to perfect our concept and understand the UK floor covering market inside and out, preparing for the successful launch of our franchise opportunity. If you are interested in finding out about this exciting new franchise opportunity from an established brand with a successful track record, then contact us today to find out more. The Wooden Floor Store is offering you a slice of a well-established, profitable and constantly expanding market that is growing year on year. 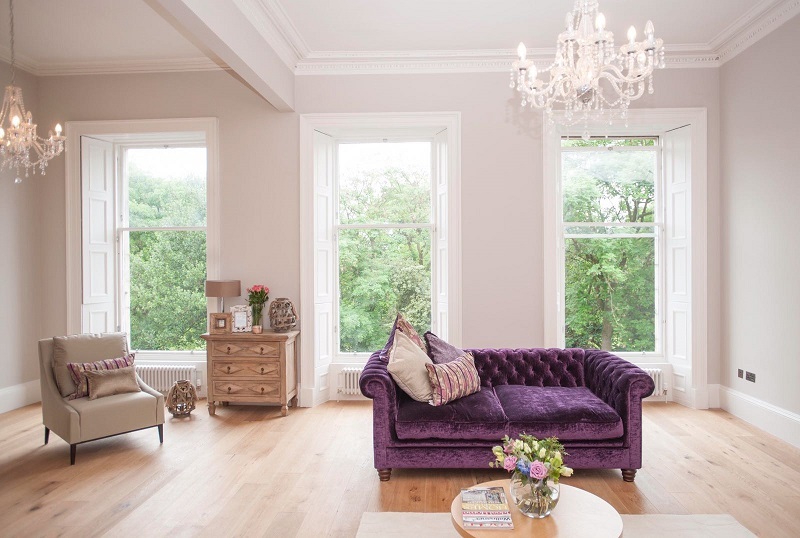 Franchisees will own and operate their own specialist wooden flooring business. It will be their role to engage with their customers, manage and complete their own sales, undertake local marketing and promotional activity and manage the day to day running of the business. We can offer both warehouse and boutique style opportunities in towns and cities with at least 100,000 residents. Over the past 20 years there are few problems we have not encountered, let alone solved in this market, and we are more than willing to share that knowledge with you to ensure that the process of establishing your own The Wooden Floor Store business is a smooth and exciting one. We will help you to identify and secure suitable premises as well as assist with shop fitting, making sure your business thrives from day one. You will receive comprehensive training covering all areas of the business including preparing you for demonstrating to your customers extensive product knowledge; a key attribute to ensuring success. We will support you at the launch of your business and throughout your duration as a The Wooden Floor Store franchisee. The total estimated investment (excluding working capital) = £80,000+VAT (and can vary depending upon location). We are looking for individuals who are self-motivated, enjoy dealing with the public and can offer excellent customer service. Retail and management experience would be beneficial, but neither are essential. Sales experience and an understanding of the sales process is also massively beneficial. By filling in the form below you will be able to receive a copy of the The Wooden Floor Store prospectus. Myself (Ross Nicholl) & my business partner Richard Snape established the company close to 20 years ago now. The company has evolved massively over that time, at that stage both of us were fresh from completing our university degrees. We have worked at every stage within the business and have now gained extensive experience across the whole sector from sourcing to manufacturing internationally, as well as dealing with a vast array of client types right from retail to restaurant groups, schools, celebrities and movie sets. When was The Wooden Floor Store established? And what were the factors for deciding to go down the franchise route? The business began in Northern Ireland in 1998 and in 2000 we opened our first store in Scotland. Some 20 years later and with both of us still pretty young given that we came straight from university into the market we now have a wealth of experience, big ambitions, key business differentials and importantly a track record which we believe will make the business a success with going in this direction. What have been The Wooden Floor Store's biggest achievements/successes to date so far? For almost everything we sell we are involved at every stage of the process, right from the forest to the floor, the vast majority of our sales are accounted for by our own lines, our own unique and company owned - non compete- own brand wooden floor collections. This has taken years of experience and know-how to put together. "Our most high profile sale was when we were selected to supply thousands of square metres for a James Bond movie set in London at Pinewood Studios." As we were becoming established and were not in the position we are in now we had strong local retail competitors, many of whom have now fallen by the way side. We have also come through the recent recessions and credit crunch when the property market crashed. Online marketing through whichfranchise! As well as this we are working with a few consultancies. What differentiates The Wooden Floor Store from the competition? We are the only wooden flooring specialist franchise within the market. 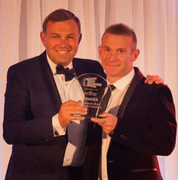 Our main differentiation from other flooring companies is that our franchisees are able to compete and out perform their local competitors due to our involvement in the production. We have many niche products that sell well and the brands, we own our own brands – that is a big differential. "Drive, commitment, organisational skills, local knowledge and sales ability." We will support the franchisee through our training program and beyond but the attitude and focus must be there throughout from the franchisee. We can set the foundations but they have to make it happen. With the right partners we can only see success. From a consumer point of view, there are trends that come and go and we try to stay at the forefront of this. Myself and Richard are continually visiting our manufacturing partners in Europe and the Far East both at their factories and trade shows and we look to take the best from a collective basis and improve on the offering available. Very few retail businesses in any sector, (never mind in flooring) have the ability to do this, we set our own direction. What does the future hold for The Wooden Floor Store? Our first franchise is open now a matter of weeks only. Already the business is performing very strongly and ahead of forecasts and projections. We are speaking to other interested prospects and working with our consulting partners with a plan to grow the base with a focus across England and Wales in the years that come. Internationally would be nice, never say never but for now our focus is within the UK, we would like to see the brand become the top recognised name within the retail market. Understand the franchise model, take advice from specialists and work with people you can trust. Be sure you have the infrastructure within to support as you go forward. The franchise business is new to us – come back and ask us in 5 to 10 years when hopefully we will have been a major success and we will be able to answer – “not much”. It is important to listen to your customer base and understand each of the processes and stay focused, on this basis we will move forward. To learn more about franchisee opportunites with The Wooden Floor Store request an obligation-free prospectus here!